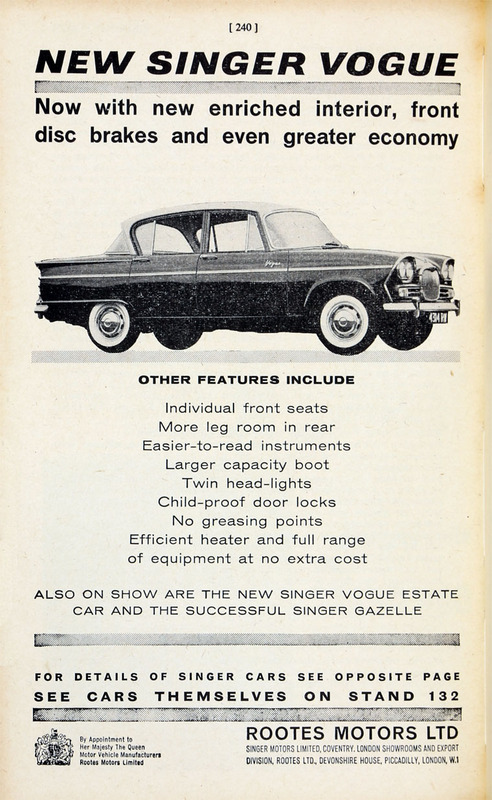 Oct 1960. 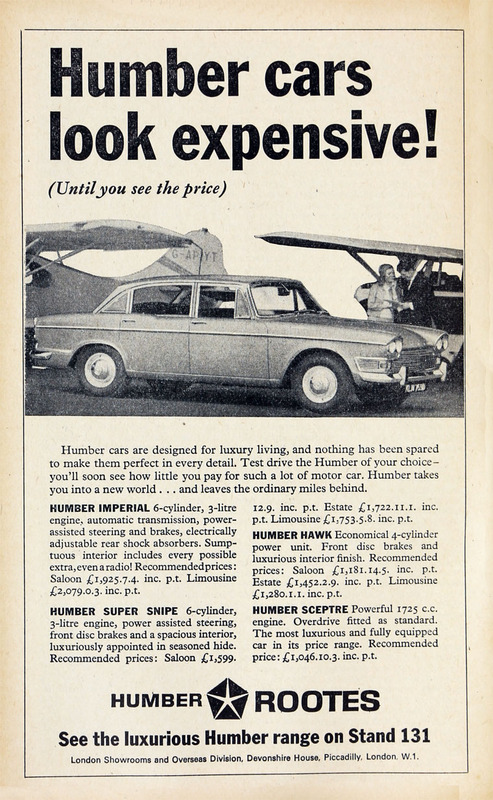 Humber: Super Snipe. 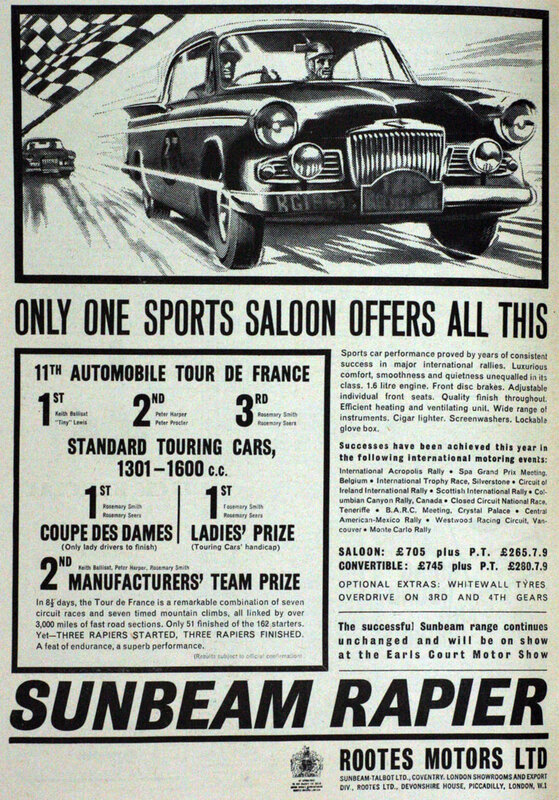 Oct 1960. 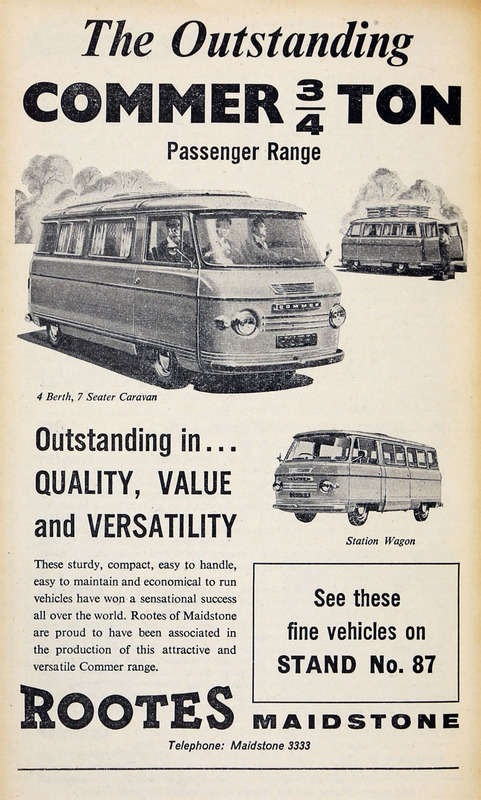 Commer 3/4/ ton passenger range. 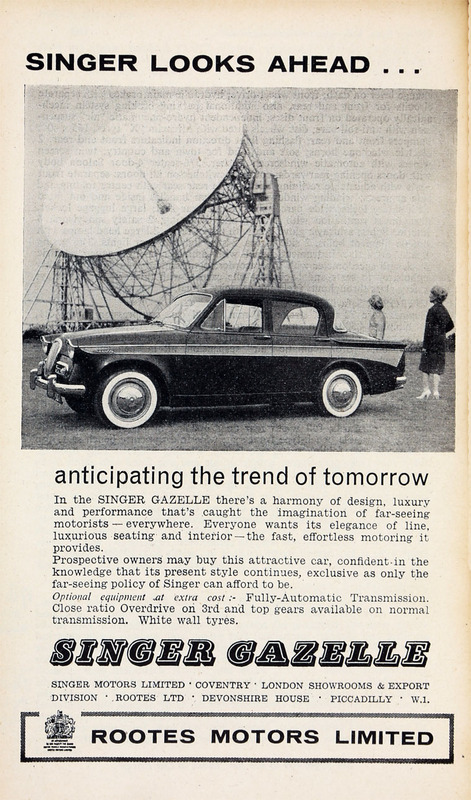 Oct 1962. 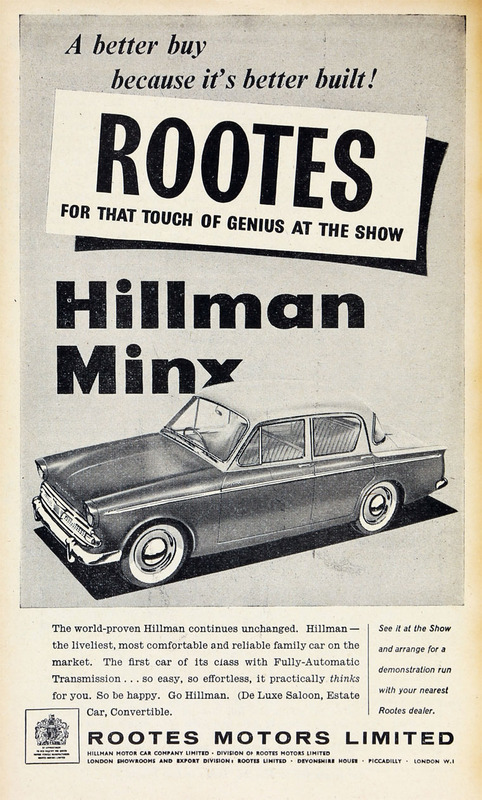 Hillman: Super Minx. 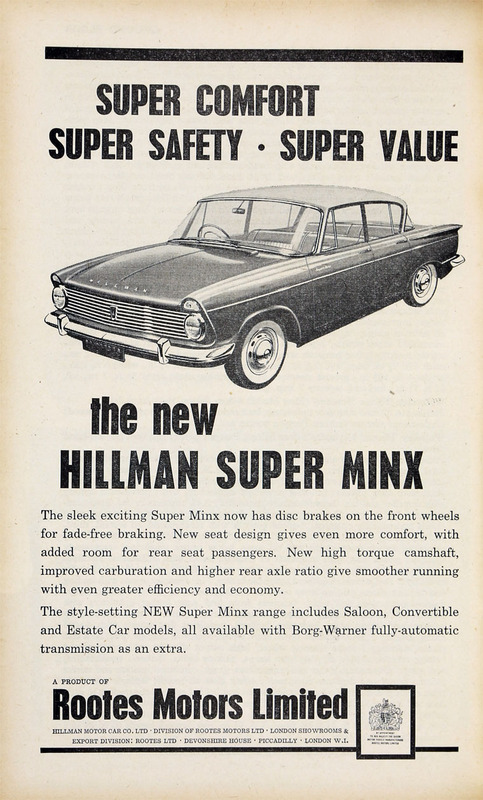 Oct 1962. 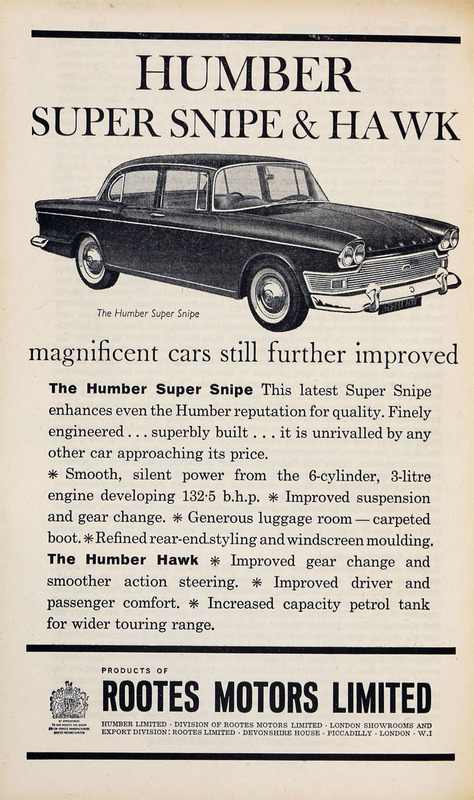 Humber: Hawk / Humber: Super Snipe. 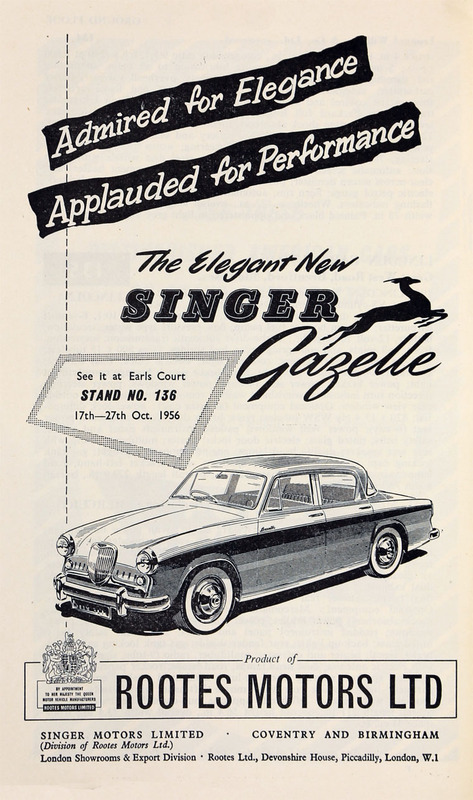 Oct 1962. 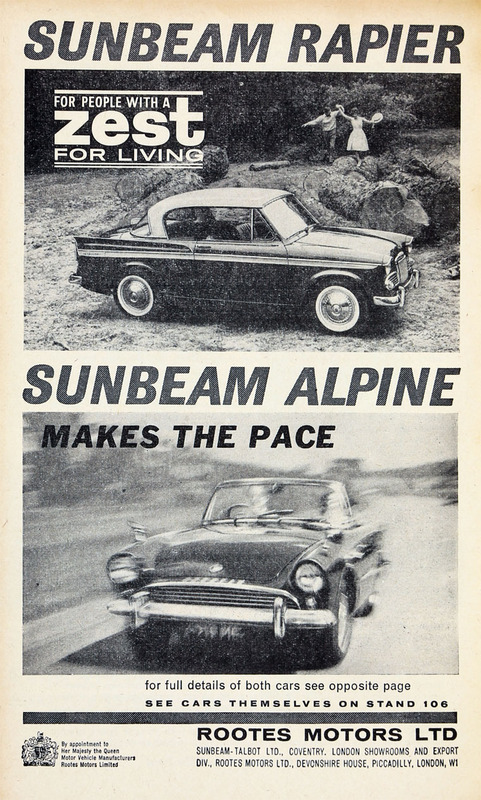 Sunbeam: Rapier / Sunbeam: Alpine. 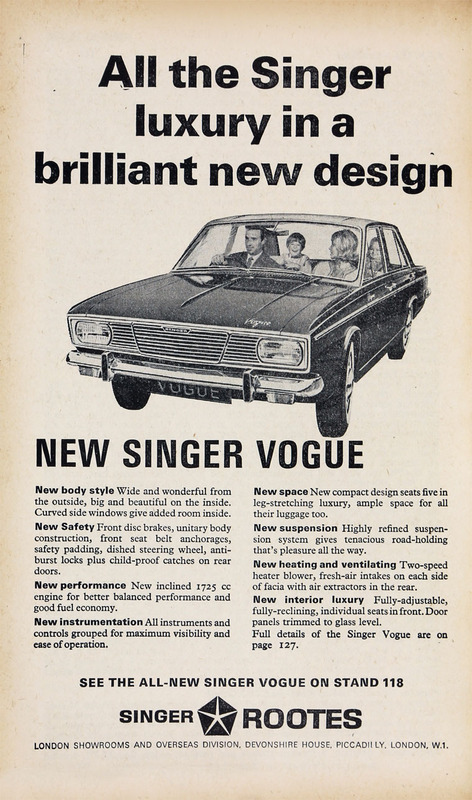 Oct 1966. 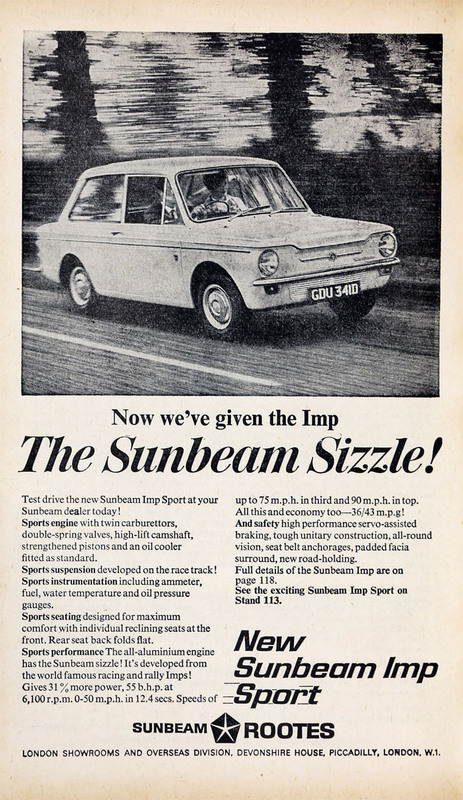 Sunbeam: Imp Sport. 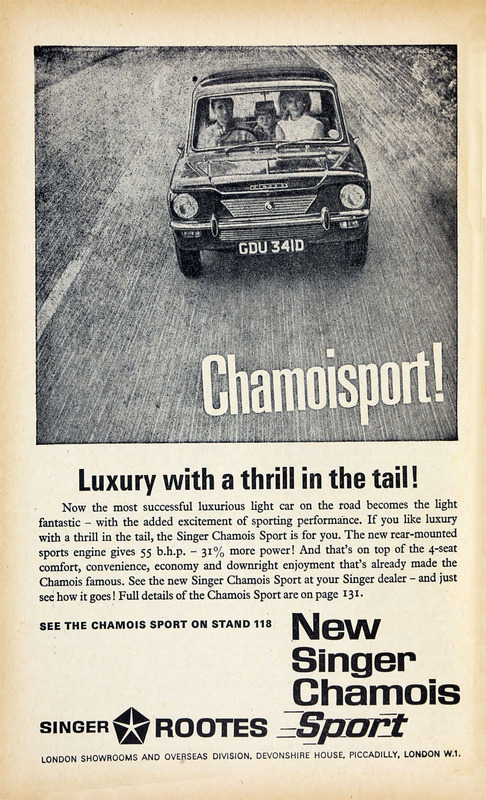 Oct 1966. 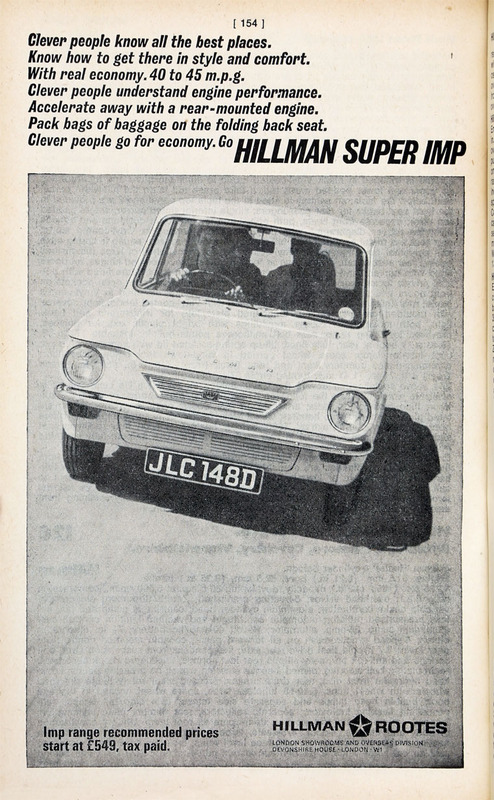 Hillman Super Imp. 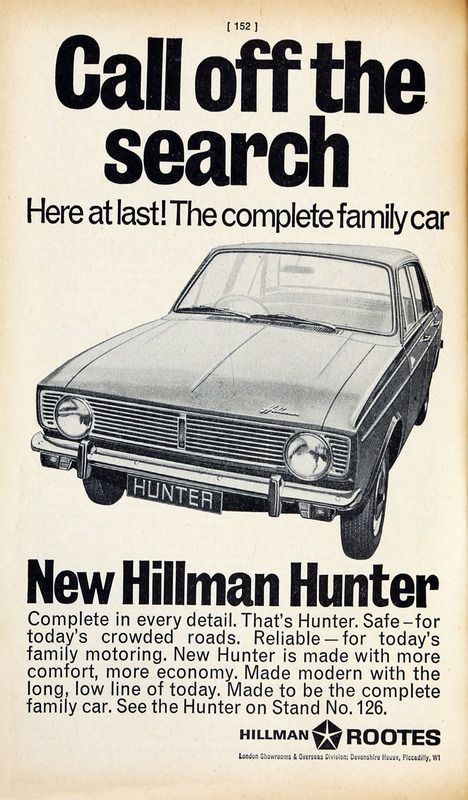 1969. 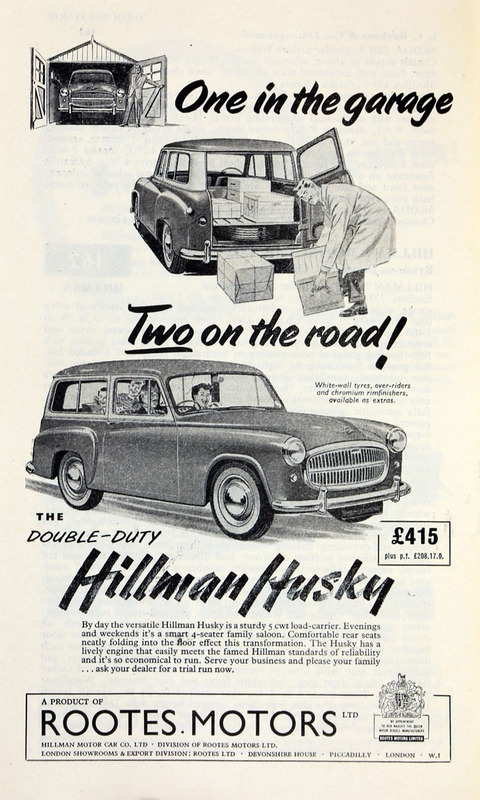 Car bodies are built up on dollies that are drawn along by a floor-mounted powered truck. 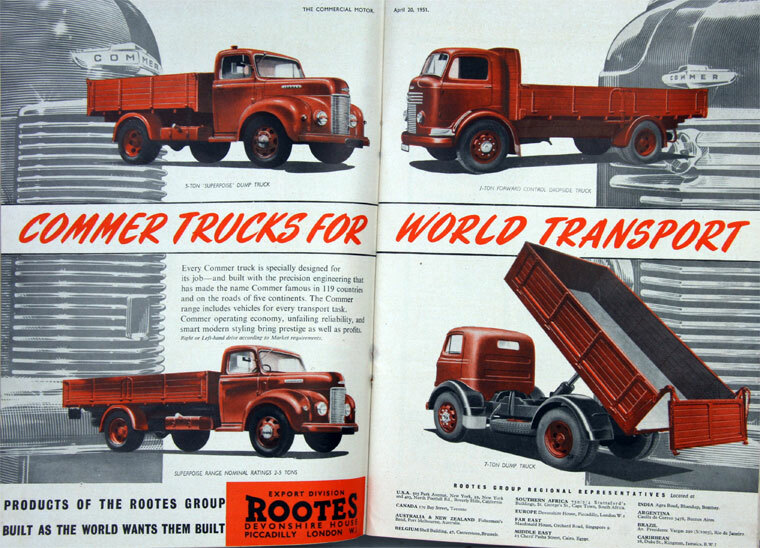 1917 Private company Rootes Ltd was founded by William Edward Rootes who returned to motor trading after demobilization. 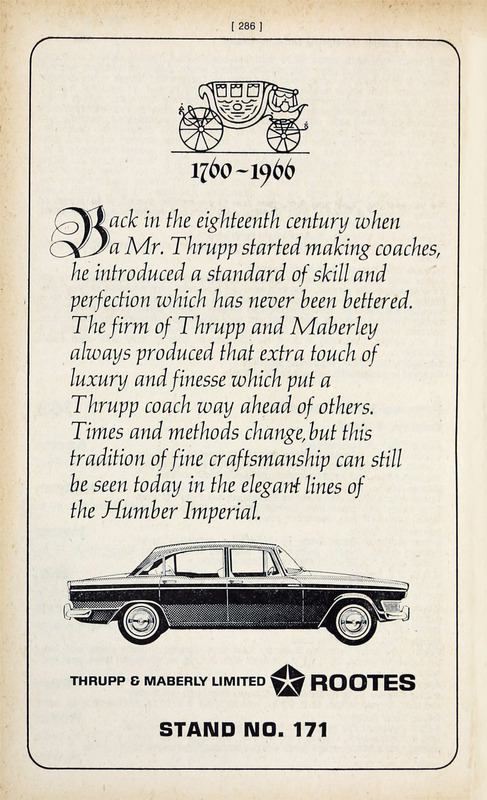 1919 William's younger brother, Reginald Claud Rootes, was persuaded to join him. 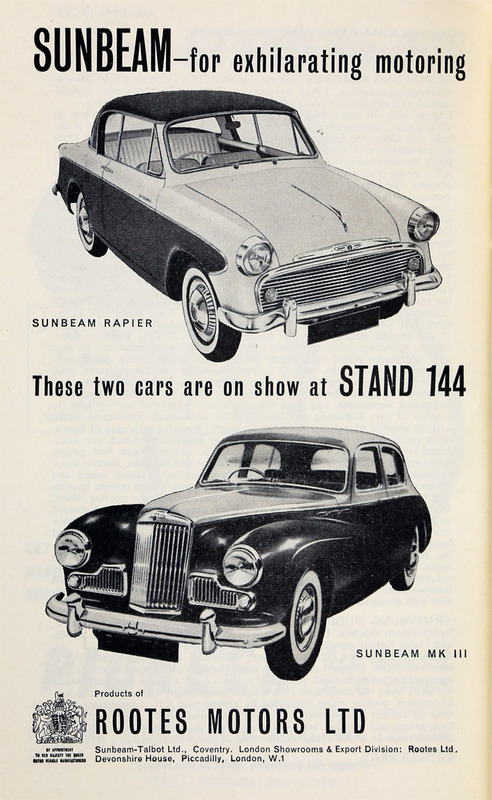 The brothers developed their business, initially in Maidstone, with many agencies including one for General Motors. 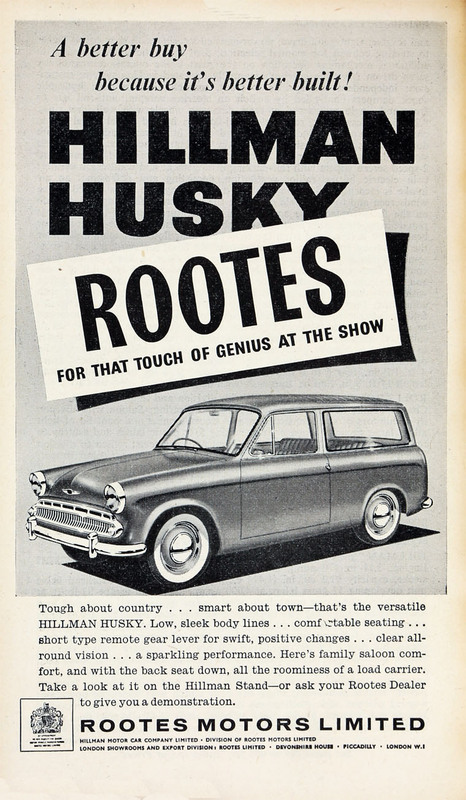 Mid-1920s Rootes Ltd was the largest distributor in Britain; had dealerships also in London, Birmingham, and Manchester. 1926 Head office moved to the new Devonshire House in Piccadilly, London. 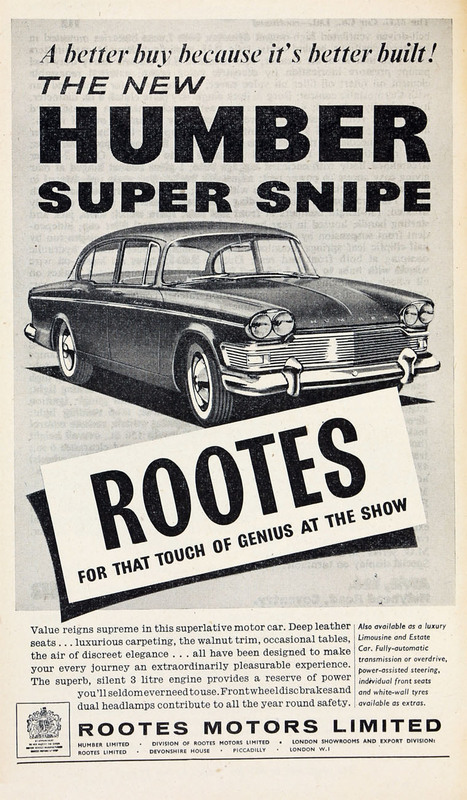 1949 Name changed to Rootes Motors; incorporated as a Public company but the Ordinary shares (most of which were held by the Rootes family) were not available to the public. 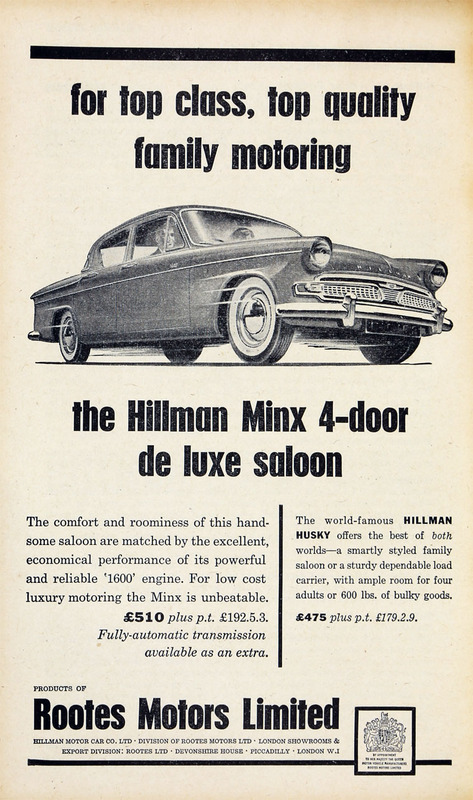 1961 Holding company for 23 subsidiaries. 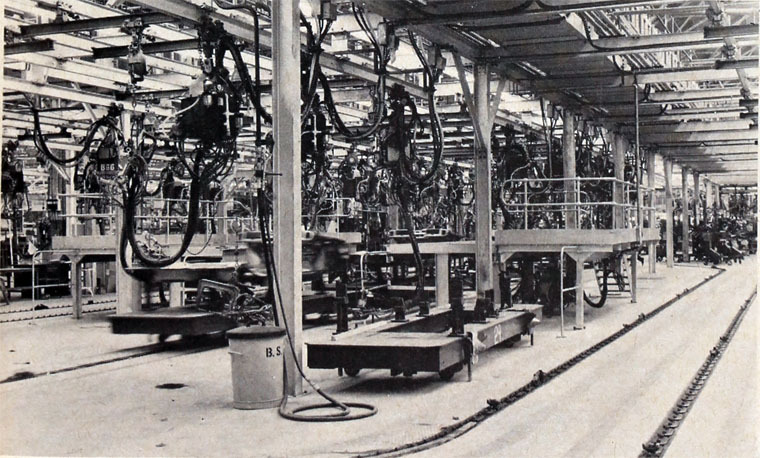 Group employees are 25,000. 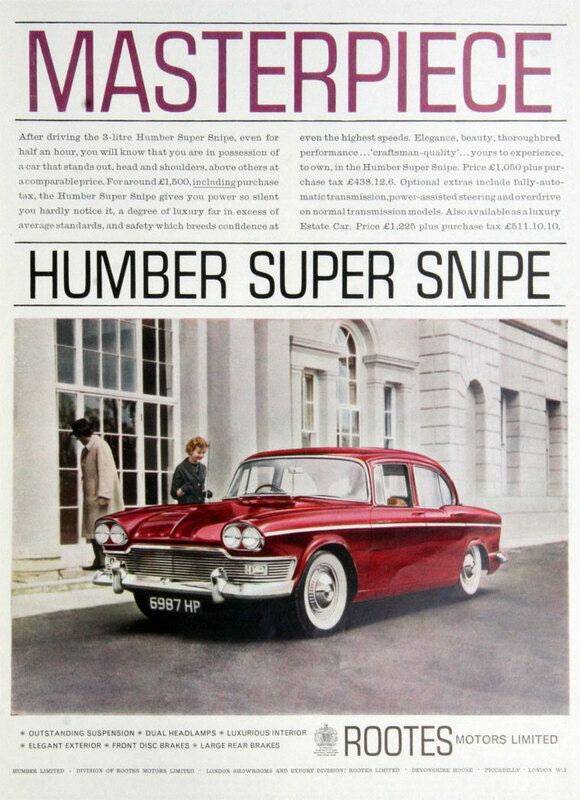 Subsequently Chrysler acquired the minority interest in Rootes and suppressed the Rootes brand, using Chrysler instead. This page was last edited on 11 December 2017, at 13:05.